Please scroll down for service details and link to online directions to the service. (nee Mason) Passed away April 14, 2019, age 82 years. 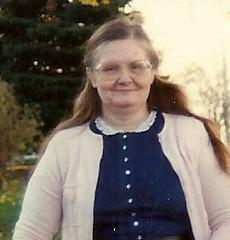 Beloved wife of Dale for over 61 years. Loving mother of June (the late Ralph) Montgomery, Marcella (Terry) Funck, Linda (Jayson) Fischer, Mark (Marisol) Genett, David (Linda) Genett, the late Cindy (Dwight) Roberts, and the late Jesse (Linda) Genett. Dear sister of Harold (Carol) Mason. Further survived by grandchildren, great-grandchildren, other relatives and friends. Visitation Wednesday April 17, 2019 at Christian Life Center, 2909 W. Mequon Rd., Mequon, WI 53092 from 5:30 PM until the time of the Funeral Services at 6:30 PM. Private interment Pinelawn Memorial Park.